Ever had a bad hair day due to high or low relative humidity. Pianos have bad hairdays too since the felt and other fragile components are made from wood fibers. These fibers shrink and swell with low and high relative humidity. 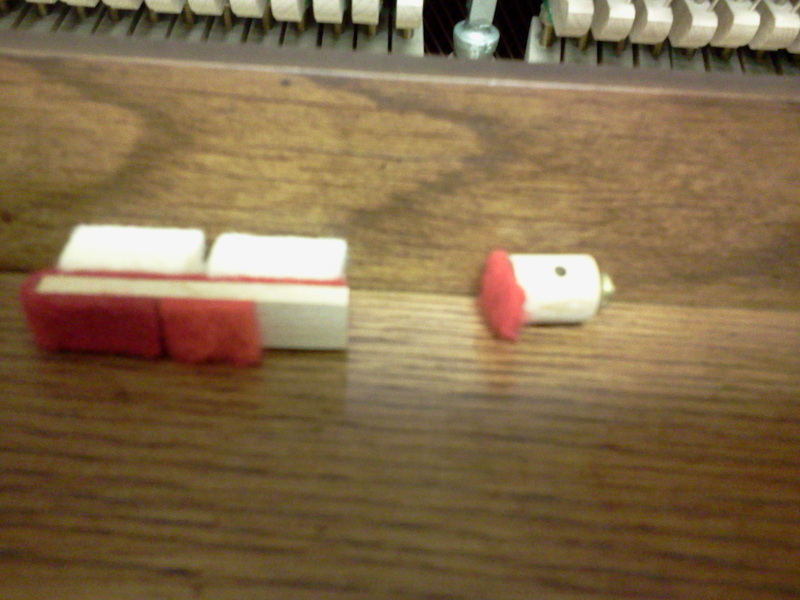 The felt damper shown to the right is the result of a new piano in a basement piano room with a heater vent. Felt expanded and contracted until it failed. There are many other problems with this piano we could document. However, the bottom line is if you are not proactive in protecting your piano, regardless of brand, price, and workmanship, you will cause excessive wear and tear of your piano that will shorten the lifespan of your piano.